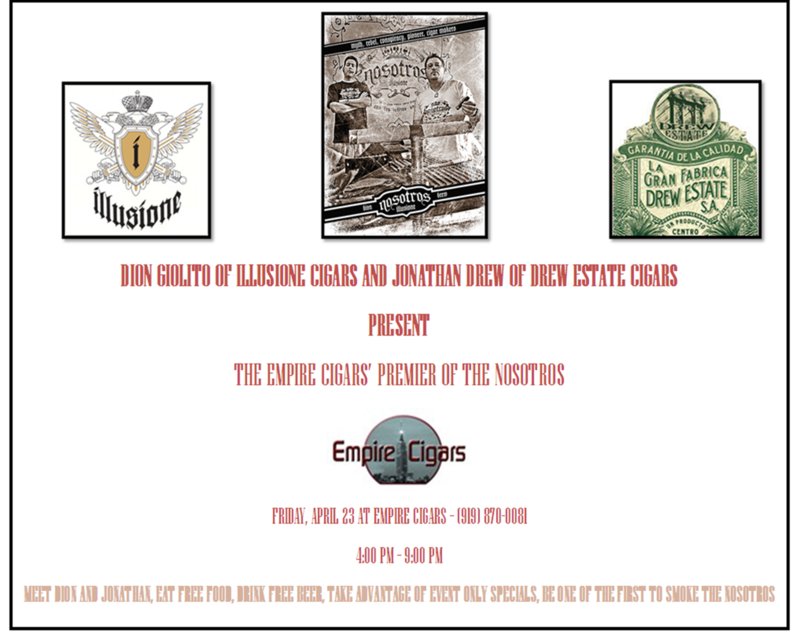 So last Friday, the folks at Empire Cigars in Raleigh, NC had a very special event. 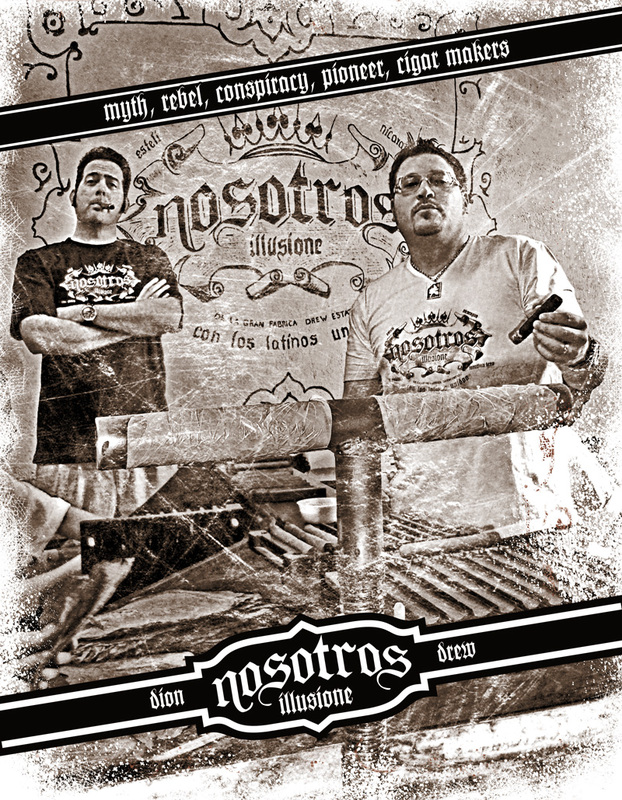 This was the worldwide release of the Nosotros cigar by Dion Giolito made in collaboration with Jonathan Drew and Drew Estate. Dion and Jonathan were supposed to be there, but Jonathan ended up at another shop for a similar event (?). This was ok, because I was very interested in picking the brain of one of the cigar industry’s biggest up-and-comers, Dion Giolito. 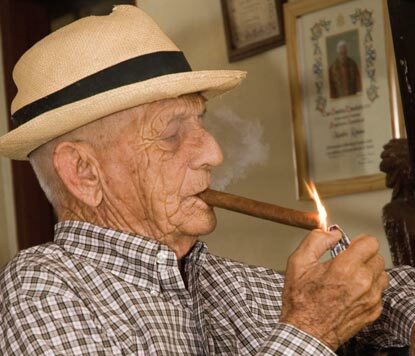 This guy is known for his palate and cigar flavor memory, and like me is a true cigar geek. 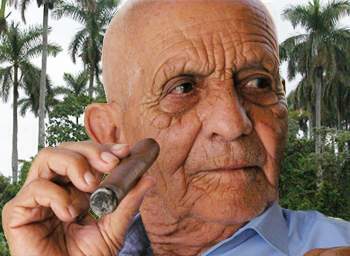 I walk in a little before 4 and Dion is already there chatting with Hal Rubin, the owner of Empire Cigars. I introduce myself and shake hands say a quick hello to some of my buddies before checking out the sticks. 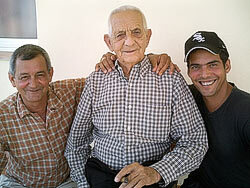 Four sizes were available that night – the Corona Larga, Robusto, Corona and Churchill. Dion told me the Toros and the 660s will be in by the end of the month. I’m in line waiting to get a box (the Corona Largas) and Dion is standing near/above (he’s like 9 feet tall), so I start talking to him. He asks which size I picked, I show him the CLs, and he tells me that they are 60 days from the table and suggested I try one or two now and put the rest away for at least a month. You gotta love a guy that up front and open about his product. … but for my birthday I received an iPhone and it’s been sapping all of my time recently. 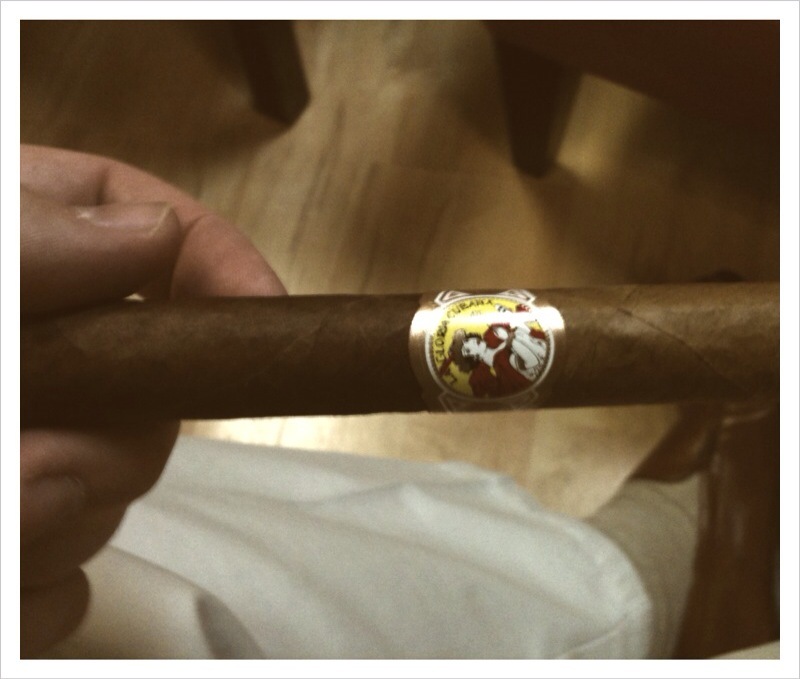 Here’s some cigar-related pictures I’ve been messing with some cool new photo apps. 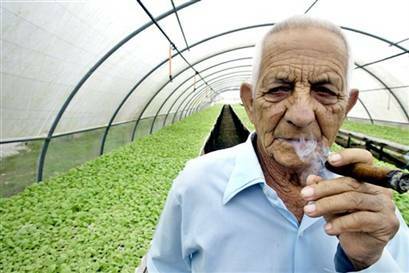 PS – yes, that’s a pre-release of the new LGC Artesanos de Tabaqueros. 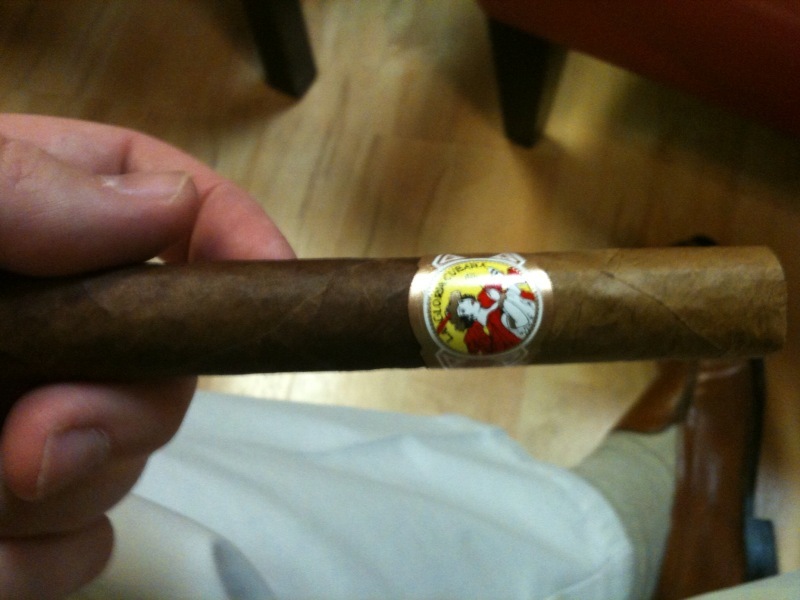 It has a split wrapper – Connecticut Shade for the first third (foot end) and an Ecuadorian Sumatra for the last 2/3rds. It was surprisingly good!